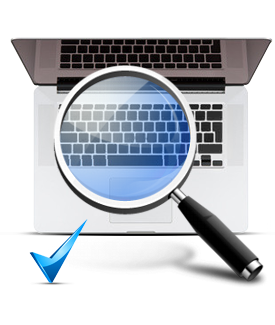 Advance Keylogger records and capture all typed keystrokes, clipboard contents, voice chat conversations and Windows screen snapshots periodically at regular interval of time. Advance keylogger facilitate to send the user log of activities at predefined email ID or upload log file via FTP settings as per defined. Keylogger software secretly traces all documents lists, instant messages, passwords, login details, typed URLs, websites visited, online chat records etc. Program provides opportunity to protect key logger with password to prevent external users to access the software configuration settings. Go to system activities from left panel, to view recorded keystrokes activities, clipboard content, captured screenshots, application run etc. 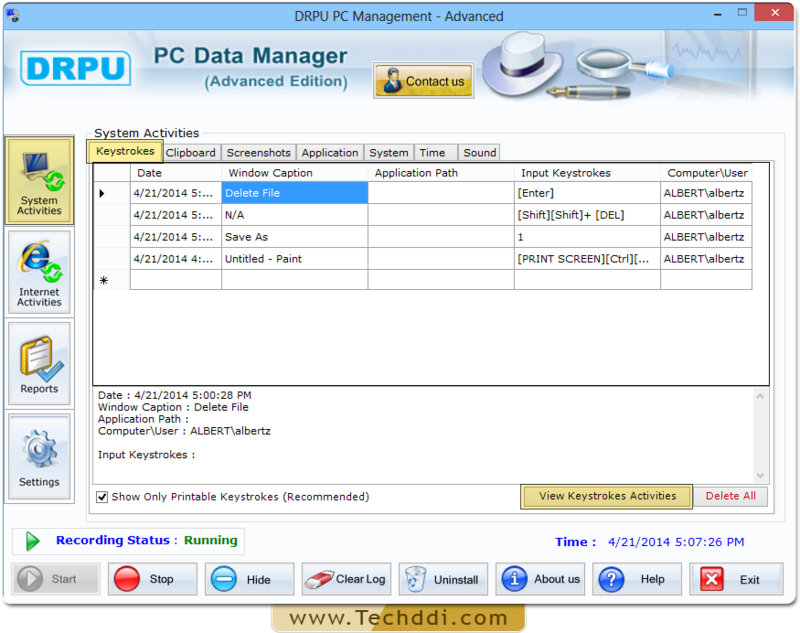 Captures keystroke, clipboard content, system activities, Windows screen snapshots at regular interval of time. Easily trace internet activities including visited website, temp files, cookies and provide facility to export recorded data in excel file formats. Software runs in Standard or Hidden mode in the background. In the hidden mode it is invisible in Add/remove program list, Start menu, Task manager, Desktop and even remains in hidden attribute in installation folder path. Provide facility to generate reports of recorded data in txt and html file. Allow users to record and view login time and date of every session created. Provide facility to view backup of the recorded data for future reference. Facilitate to set hot keys or run command settings to access the application if running in hidden mode.